I have been loving the triangle look on all things decor. I think triangles are such interesting shapes because they can be warm and edgy simultaneously. I dream of the time when I can finally do whatever I wish to my living space, but in the meantime these are my fave triangle decor favorites! And if you're looking for equally killer triangle clothes, these cut out jeans are pretty bomb (see here). 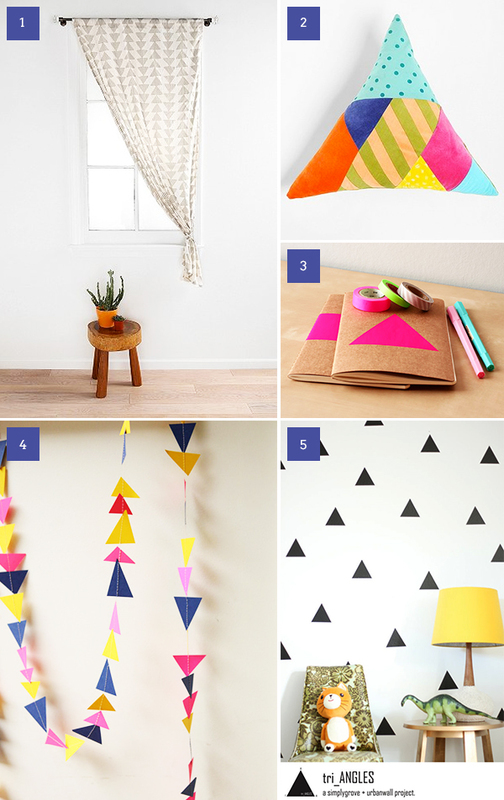 Love the look, I never thought about triangles as wall decor! Yes, isn't it lovely! Thanks for stopping by, Jessie! Great finds, I am in love with that curtain ! Thanks so much for including my neon notebook !